Common Admission Test (CAT) is the MBA entrance exam conducted by IIM for admission to Indian Institutes of Management (IIMs) and other top Business Schools in India. IIM Calcutta will conduct CAT on November 25, 2018 on Sunday across 140 centers. Candidates participating in Cat 2018 can take CAT Mock Test to prepare them. The Common Admission Test (CAT) is a computer based online test. It includes several sections like Reasoning, Comprehension, Data Interpretation, Verbal ability and Quantitative aptitude. In Cusat CAT Mock Test, important questions have been asked so that students practice those questions and also come to know about their speed. Time to time CAT Mock Test is held online for candidates practice. Huge no. 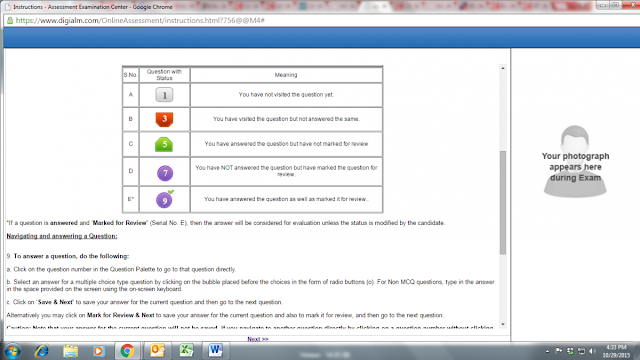 of aspirants takes part in CAT online Mock test and learns some useful things. 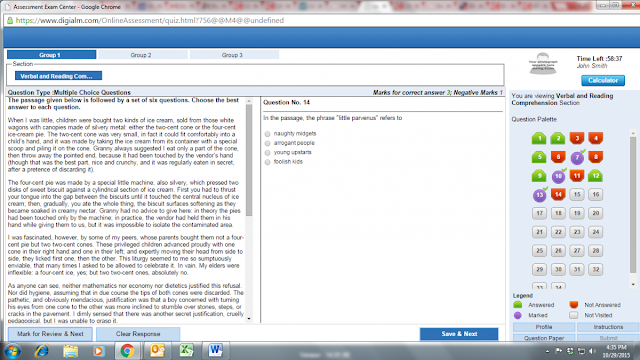 So must take an Online Mock test before you attend the CAT test. We the team of www.privatejobshub.in are providing CAT Mock Test Papers with Solutions at this page so you can crack the Common Aptitude test easily. Many students face a common problem in Common Aptitude exam i.e. time issue. They are unable to complete the Common Aptitude test because they did not practice from CAT Mock Test Series. By practicing from CAT Mock Test Papers you can boost up your speed and you come to know about the types of questions asked in CAT Examination. Candidates practice more and more from Best Common Aptitude Test Series so that you can crack the CAT exam in first attempt. Some important CAT Mock test questions are given below and you can also download CAT Mock Test Papers with Solutions PDF from the official website. Chapter to work on: You can select which particular chapter you want to study. Number of Questions to work on at a particular time: So, if you have a 10 minute break, you can solve 10 questions. Or you can select to work on up to 100 questions in one session of study. Question Number to Begin with: With the help of following questions you can continue your studies from where you had left it off. So, if you have completed working on 300 questions, you can start working from Question 301. Question 1) The small child does whatever his father was done. Question 2) You need not come unless you want to. Question 4) The man to who I sold my house was a cheat. Question 5) They were all shocked at his failure in the competition. Question 6) I need not offer any explanation regarding this incident - my behaviour is speaking itself. Question 7) He is too important for tolerating any delay. Question 8) Look at this series: 7, 10, 8, 11, 9, 12, ... What number should come next? Question 9) Look at this series: 36, 34, 30, 28, 24, ... What number should come next? Question 10) Look at this series: 22, 21, 23, 22, 24, 23, ... What number should come next? Question 11) If a man cycles at 10 km/h, then he arrives at the certain place at 1 pm. If he cycles 15 km/h, he will arrive at the same place at 11 am. At what speed must he cycle to get there at noon? Question 12) The total number of integer pairs (x,y) satisfying the equation x+y=xy is ____. Question 14) If the sum of the first 11 terms of an arithmetic progression equals that of the first 19 terms, then what is the sum of the first 30 terms? Question 15) Rajeev failed in the examination because none of her answers were _______ to the questions asked. Question 16) The average of five natural numbers is 150. A particular number among the five exceeds another by 100. The rest three numbers lie between these two numbers and they are equal. How many different values can the largest number among the five take? Question 17) A contractor agreed to finish a piece of work in 150 days. He employed 75 men and made them work for 8 hours per day. However, after 90 days, he realized that only 2/7th of the work was completed. How many more men would he need to employ to complete the work on time if he intended to make everybody work for 10 hours per day henceforth? Question 18) What is the highest possible value of ‘n’ for which 31024 – 1 is divisible by 2n? Question 19) A quadrilateral is formed by the lines x = 0, y = 0, x + y = 1 and 6x + y = 3. What is the equation of the diagonal of the quadrilateral that passes through the origin? Question 20) A function f(x) is defined as (x + 1) × f(x + 1) + x × f(x) + (x – 1) × f(x – 1) = 0 for x 2 ≥. If f (1) = 40 and f (6) = 180, find the value of f (14). Question 21) Section 304 A of the Indian Penal Code is related to which among the following? Question 22) In which of the following states, the Sharavati Project is located? Question 23) In which of the following states, the Balimela Project is located? Question 24) What does the Olympic Flame symbolize? Question 25) For which among the following kinds of offenses, COFEPOSA was enacted in 1970s? Question 26) A school having 270 students provides facilities for playing four games – Cricket, Football, Tennis and Badminton. There are a few students in the school who do not play any of the four games. It is known that for every student in the school who plays at least N games, there are two students who play at least (N – 1) games, for N = 2, 3 and 4. If the number of students who play all the four games is equal to the number of students who play none, then how many students in the school play exactly two of the four games? Question 27) The total valley area covered by Damodar Valley Corporation is approximately 24,235 sq. km. In which among the following states this area is spread? Question 28) Raman ranks sixteenth from the top and forty ninth from the bottom in a class. How many students are there in the class? Question 29) Three persons A, B and C are standing in a queue. There are five persons between A and B and eight persons between B and C. If there be three persons ahead of C and 21 persons behind A, what could be the minimum number of persons in the queue? Question 30) Manoj and Sachin are ranked seventh and eleventh respectively from the top in a class of 31 students. What will be their respective ranks from the bottom in the class? We are providing some steps, so that you can easily understand the Exam pattern of CAT 2018 Mock Test and shall not face any difficulty while examination. 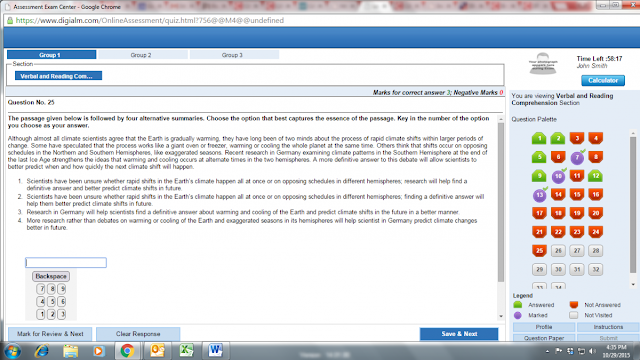 1) First you will visit the website and hit on the CAT 2018 Mock Test link, a page will appear on your screen. The page will have your system name, subject, and photograph along with a log-in window. Then you can proceed by just pressing on the green ‘Sign-in’ button, but at the time of the actual test, you must enter correct log-in ID and Password. After log-in, you will be re-directed to a new window. Read the instructions carefully and appreciate the color scheme well, as it shows to you how many questions you have left unanswered, how many are answered, and how many are kept for review. After that a screen like below will appear. This shows the Duration/ maximum marks of the exam i.e. 180/200. You have to choose only one option and the selected option will not be changed, candidates have to attempt sections in the same order as given. Read all the instructions, select the ‘I agree’ button and click on the ‘I am ready to begin’. Now, the actual test starts. Read the questions, answer, skip or mark for review, which is better for you and then proceed with ‘Save & Next’ button for next question. You can visit a question back by pressing on the numbers under the question palette. When you will attempt the MCQs, all the Non-MCQs will appear; you have to read the passage which has alternative summaries. Contenders have to choose the best sequences and select the numbers as provided or can type the same from their keyboard. After that, if you have time- review your answers or wait for 60 minutes to get over and next section to appear. The CAT 2018 Mock Test will have a similar pattern and it will follow the same procedure to attempt or mark the answers. 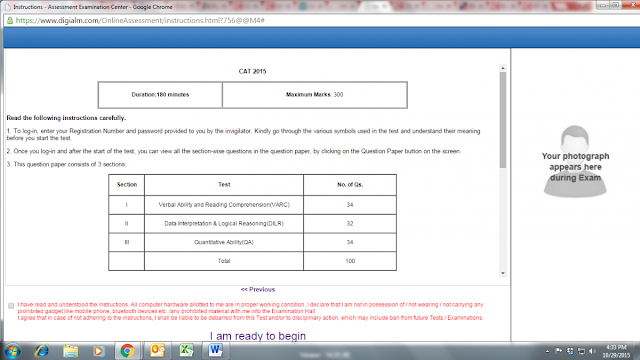 After all the sections are complete, students will have to hit on ‘Submit’ tab to submit their test. After the duration of test is over, a screen with summary will appear. This will includes total number of answered questions, unanswered questions, or questions left for review. A Feedback form is also generated, where you will have to give your feedback about the test. Enter the details as like, and click on submit. We hope that the information about CAT examination and CAT Mock Test series will be helpful for you. So many Common Aptitude test papers with solutions are available by Indian Institutes of Management on its website. At last we would like to say all the very best to the students who are going to appear in CAT examination. Keep practicing and be confident while solving the question paper.